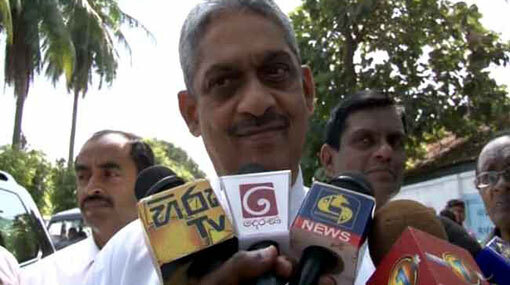 UNP MP Field Marshall Sarath Fonseka says that he is hoping to get a proposal approved at the parliament regarding additional ministerial posts. Speaking to the media in Peliyagoda, he said he will have to go to the Supreme Court if there are any obstacles regarding the proposed names. Fonseka points out that, constitutionally, the Prime Minister has the right to appoint any ministers; however, his ministerial post has been rejected due to the conflict with the President, he said. He added that will continue to work towards obtaining additional ministerial portfolios. The Fall Armyworm (Sena caterpillar) has caused much destruction; however, there are worse worms within the parliament today, according to Fonseka.